The world is becoming more and more digital every day. 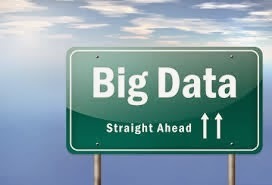 Big Data is one of those megatrends that will impact everyone in one way or another. Welcome to the everyday world of "Big Data," the explosions of facts, maps, products, books, calls, references, smartphone apps, trends, videos, advertisements, surveys — all of the sense and nonsense that is literally at your fingertips, 24-7, every day from now on. Big Data is all that everything we do in our lives to leave a digital trace (or data), which we (and others) can use and analyze for the betterment of our lives. In hospitals, pediatric unit looking after premature and sick babies is generating a live steam of every heartbeat. It then combines them with historical data to identify patterns. Based on the analysis the system can detect infections even before the baby would show any visible symptoms, which allows early intervention and treatment. Wearable fitness wristbands from Nike & Fitbit collects daily data about how fast we walk or jog, how many steps we have taken, the calories we have burnt each day, our sleeping patterns and other streams of data which are then combined with our health records by doctors & insurance companies for better wellness programs. In schools & colleges streaming videos courses and data analytics helps teachers track student’s progress, tailor the content to their abilities & predict how a student will perform. SmartThings, a company helps in Smart Homes with installing motion, moisture and other sensors in your home to collect data & keep you posted on what is happening at home & control all the devices via an app on the iPhone while you are away. While we daily drive on the roads, our smartphones send our location information & how fast we are moving, which then combined with real-time traffics to give us optimal routes to avoid traffics. Even combined with our location apps like AroundMe gives you nearby restaurants, banks, gas stations and lot more. In Retail, when we go shopping our loyalty card data is combined with our purchase history & social media data to give us coupons, discounts, and personalized offers. Finally, in IoT, companies like EarlySense are developing wellness & sleep monitoring sensors that go under the bed mattresses & automatically detects, monitors, and records heart rates, breathing rates, motion, and sleep activity as soon as a person gets into bed. The data collected by the sensor is wirelessly sent to smartphones and tablets, where it can be further analyzed. Transit Time NYC, an interactive map developed by WNYC, lets New Yorkers click a spot in any of the city's five boroughs for an estimate of subway or train travel times. They pulled data from open source itinerary platform OpentripPlanner & combined it with publicly downloadable subway schedule to create 4 million virtual trips. FluNearYou app developed by American Public Health Association surveys users to get a sense of their symptoms stores and analyzes the vast amount of resulting data and then produces reports to show users the flu activity in their local region. Buildzoom, a “one-stop-shop” for building, remodeling & renovating homes, has information about 2.5 million contractors, 50000+ customer reviews helping 500,000 users bring more objectivity & transparency in decision making. The FBI is combining data from social media, CCTV cameras, phone calls and texts to track down criminals and predict the next terrorist attack. · Presidential campaigns of Obama in 2012 used Big data Analytics to collect vast amounts of voter’s data from phone calls & surveys, coupled with top-notch analytical engines allowed him to micro-target the individual voters that were most likely going to vote in his favor. Google’s self-driving car is analyzing a gigantic amount of data from sensor and cameras in real time to stay on the road safely. · Smart TVs and set-top-boxes are able to track what you are watching, for how long and even detect how many people sit in front of the TV combined with social sentiments to determine the channel popularity. In Greece, the government is using Google Earth to see who can afford a swimming pool in their backyard, and then matching that against tax records. Ultimately, you and I are going to benefit from Big data Analytics. Our economies are getting stronger when the banks have a better understanding of risk. Our taxes are lower when the government lowers its fraud expenses. Our communities are becoming healthier when disease outbreaks are pinpointed and treated earlier.